Qigong (pronounced “chi kung”) is an ancient Chinese art of natural self healing. Meditation, relaxation, breathing and posture are the four key components used to achieve the Qigong state, through which the self healing starts and benefits are realised. 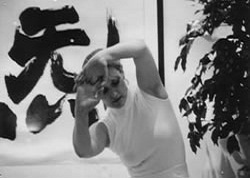 Qigong is quick to learn, the movements are simple and the breathing techniques are easy to master. Results can be seen and felt quickly. 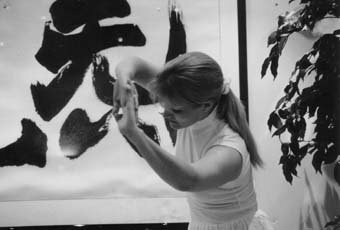 The defining principle of Qigong is to rebalance, develop and maintain your personal energy Qi (“Chi”). Imbalanced levels of Qi can upset all the body’s systems: neurological, cardio vascular, respiratory, digestive. This in turn can create symptoms as broad ranging as anger, emotional turbulence, obesity, insomnia, depression, asthma, migraines, high blood pressure etc. By engaging mind, body and spirit Qigong treats you as a whole and not just your isolated ‘Symptoms’ (e.g. stress, weight problems, neck pain) therefore the benefits are wide reaching. The exercises used in Qigong are low impact and gentle but deliver results in terms of weight loss and body conditioning. Meditation. relaxation and tranquilisation exercises help to balance your emotional equilibrium alleviating conditions such as stress, tension, anxiety, anger and depression. Energy levels can soar as the combined benefits of meditation, relaxation, posture and concentration are realised. Many users report feelings of rejuvenation, increased energy and vitality. Improved blood flow and harmonisation of internal systems can result in detoxification. This can lead to enhanced wellbeing and visible improvements in condition of skin, hair, nails etc. The combination of exercise, breathing techniques and meditation has proven highly successful in overcoming insomnia and irregular sleep patterns. Improved circulation, respiratory function and blood oxygenation relieves pressure from the heart to pump blood more easily thereby lowering blood pressure. Posture is an important element in Qigong and the practice of correct posture and breathing can alleviate long term muscular complaints such as back or neck pain. Dr Simon Lau is one of the UK’s pre-eminent authorities on Qigong and traditional Chinese medicine. More than twenty years experience combined with comprehensive study in China and Hong Kong has given Dr Lau a highly respected reputation in the UK, Europe and Asia. Personal invitations include addressing the Cambridge University Union and appearing on televised documentaries such as the BBC’s The Living Body”.